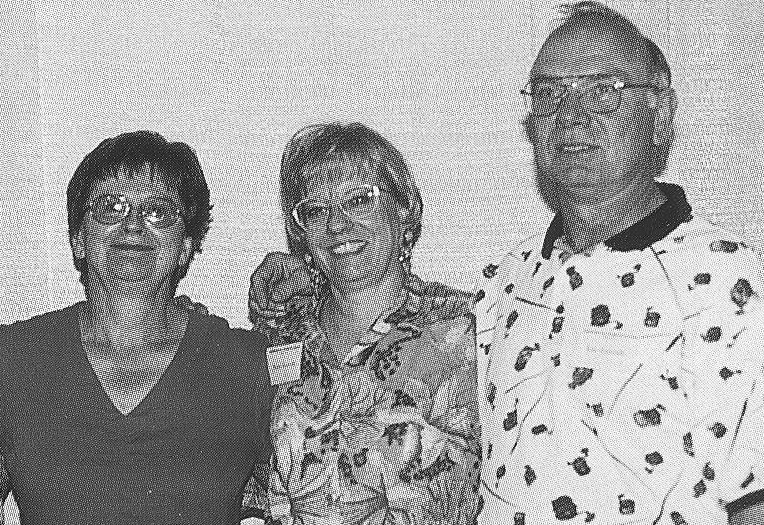 Susan Robertson stayed on as festival coordinator in 1991, building on the success of various activities she had added to the market, including expanded children’s activities, and the kite making workshop (led by Mary Anne and David Baxter of Battleford). In 1992 the SCC secured funding for a permanent staff position for market coordinator, and Lois Kurp was hired at half-time (increased to three-quarter time the next year). In 1994 a new volunteer committee joined in the planning of the Handcraft Festival, dubbed the Handcraft Festival Support Committee, and chaired by Rod McDonald of the Optimist. The committee would take on the duties of decorating the festival, providing volunteers for the courtyard (a rest and food area) and some promotion of the festival. 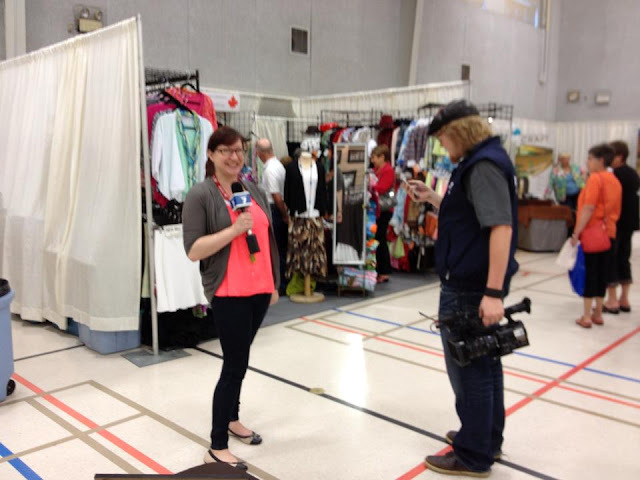 In addition, the United Church stepped up to provide Pancake Breakfasts and Roast Beef dinners throughout the weekend. The 1994 sale was also the first year that new jury standards were applied to marketers: the changes included separate standards for each medium, as well as the introduction of “juried status” where artists no longer needed to be juried for every sale. No significant changes occurred with the festival in 1995, although it would turn out to be Lois Kurp’s last year as festival coordinator. Before she left, she suggested to her friend, Chris Jones, that he apply for the Marketing Coordinator position, and he accepted the job in early 1996. In 1999 in the hopes of increasing attendance, the SCC began distributing $1 off passes to the market. The next several years saw a steady decline in attendance to the festival, though craft demonstrations, children’s activities and the number of booths remained. In the early 2000’s the market was moved from a 3 day event to a 2 day event (not open on Sunday) By 2004 decreases in the number of marketers began to become apparent, and in addition to the reduction of the sale to 2 days, issues about the heat in the arena began to arise. With Dimensions jurying moved to Saskatoon, and the awards ceremony moved to the MacKenzie Art Gallery in Regina, the availability of the air conditioned Alex Dillabough Centre was too good to pass up. The 3-day event in 2005 took place in the Dillbough Centre, and increases in both attendance and craft marketer sales were reported. The SCC continued to ensure that the previous year’s Dimensions would be on display in the Battleford area at the same time as the Handcraft Festival, and in 2005 there was also an exhibition of the previous 30 years of purchase awards for Dimensions from the Town of Battleford. Publications and Reports from the SCC made a permanent shift from print to electronic formats after 2005, so history fans, you’ll have to wait a little longer for the rest of the story of the Saskatchewan Handcraft Festival to be told! Right now, I’m sitting in the market office at the 40th Annual Handcraft Festival to get this report to you. But now I must return to my present duties!